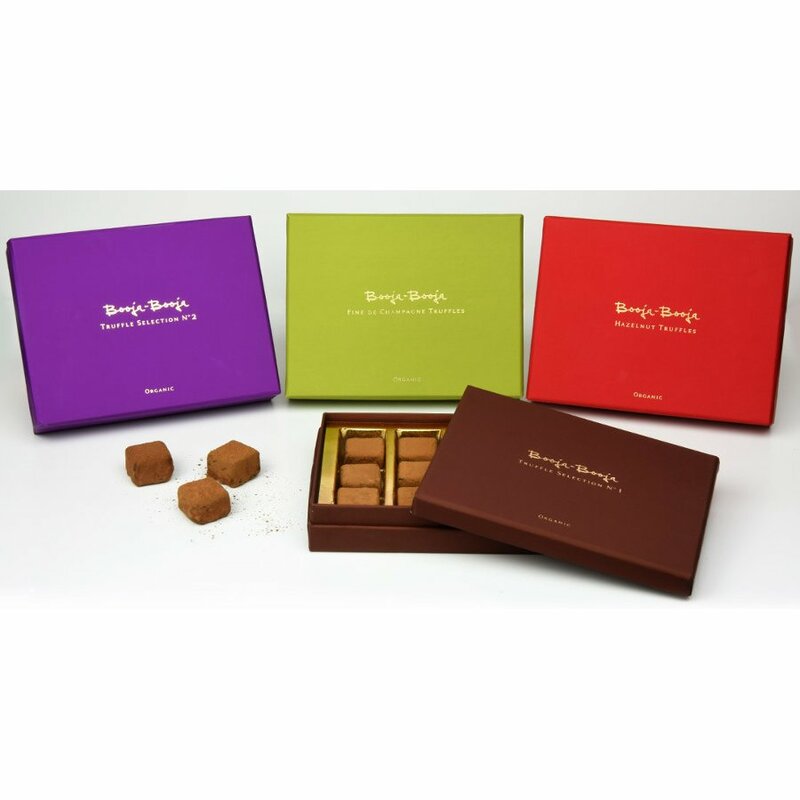 A selection of 12 vegan chocolate truffles in 4 different flavours – Fine de Champagne Cherry Cognac Stem Ginger and Around Midnight Espresso. 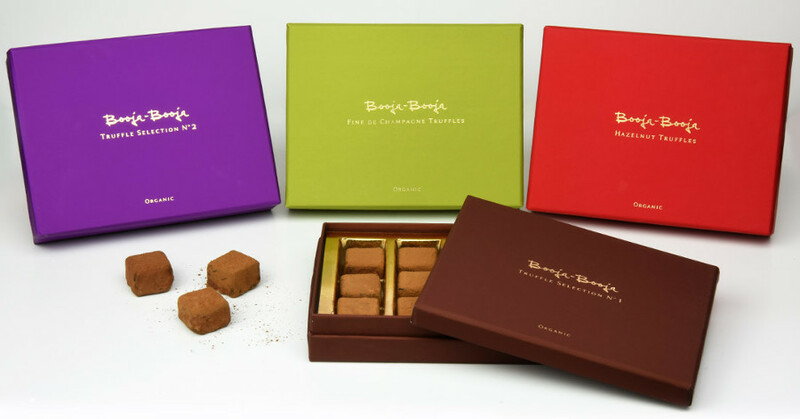 The Special Edition Truffle Selection from Booja Booja is made with chocolate from the Dominican Republic and other certified organic ingredients to create an indulgent flavour that can be enjoyed by everyone. 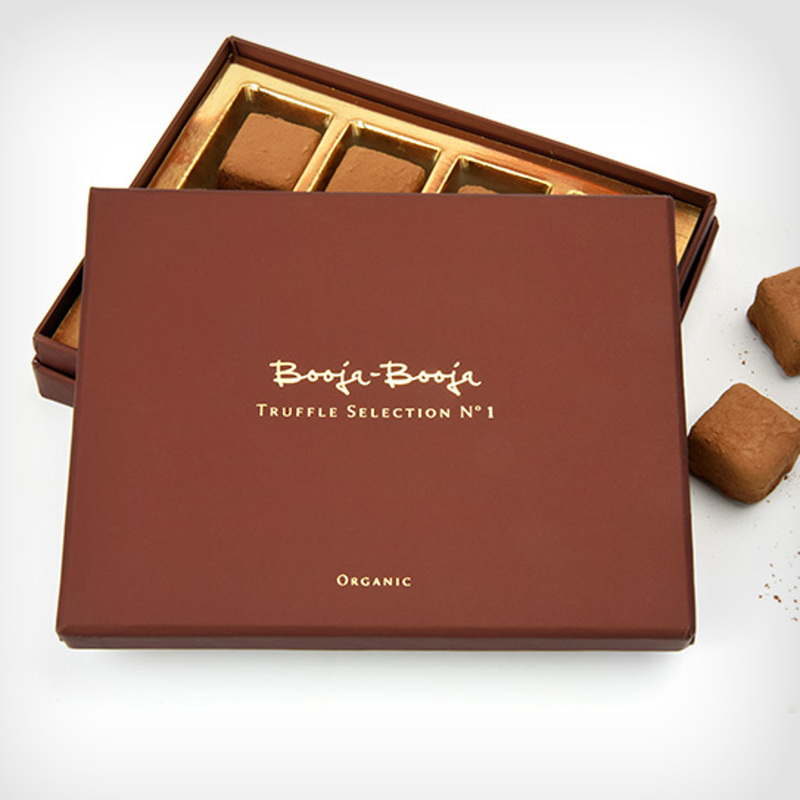 There are currently no questions to display about Booja Booja Truffle Selection No 1 Gift Collection - 138g.